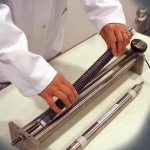 The Auto-Shrink system measures the unrestrained autogenous shrinkage of a specimen of cement paste or mortar cured under sealed conditions (ASTM C1698, Test Method for Autogenous Strain of Cement Paste and Mortar). Auto-Shrink permits evaluation of the relative autogenous shrinkage potential of different cementitious systems. Excessive autogenous shrinkage may lead to microcracking that increases the permeability of concrete. 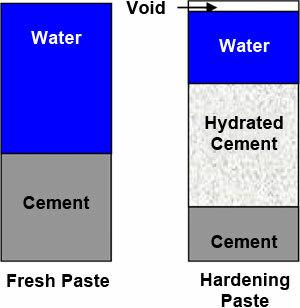 When cement hydrates through chemical reactions with water, the volume occupied by the products of hydration is less than the original volume of cement and water. This phenomenon is known as “chemical shrinkage.” If concrete is cured under sealed conditions (no external source of moisture), the reduction in paste volume due to hydration causes internal tensile stresses that can lead to microcracking. 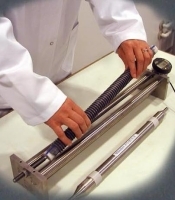 The microcracking, in turn, reduces concrete’s resistance to penetration of water and deleterious substances. If a specimen of paste or mortar is cured under sealed conditions and allowed to change in volume, the chemical shrinkage of the paste will cause autogenous shrinkage of the specimen. 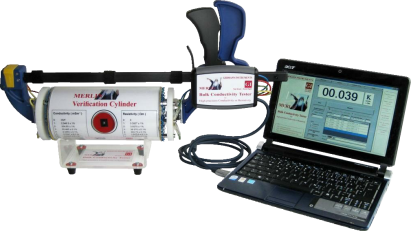 The Auto-Shrink digital dilatometer is designed for linear measurement of autogenous shrinkage in hardening cement-based materials. A special corrugated plastic mold is used to prevent moisture loss and allow the specimen to shrink freely. With Auto-Shrink, it is possible to measure the time dependent deformation of many different specimens simultaneously over periods of weeks or even years. 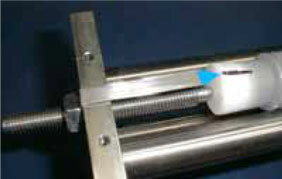 The digital displacement gauge is fixed firmly to the frame with a blunted hex screw. The remote control is mounted on the side of the gauge. A lock function for the remote control is provided. Specimens are cast vertically by using support tubes, which can be mounted to a vibrating table. To ensure that the cast specimens have approximately the same length, the corrugated mold should not be stretched or compressed during filling. The mold is filled to approximately 15 mm below the end of the tube to allow room for the top sealing plug. Before the top sealing plug is mounted, the corrugated tube is compressed slightly to bring the cement paste in contact with the sealing plug. 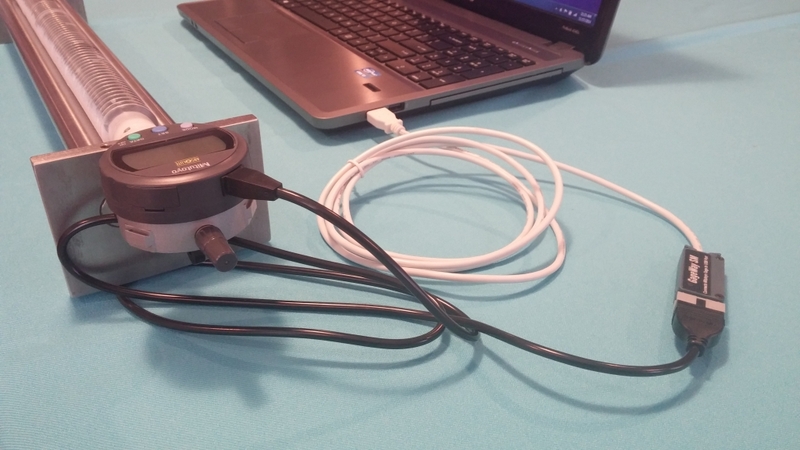 Auto-Shrink dilatometer are conveniently done relative to a reference bar. To ensure optimal measuring accuracy, the reference bar as well as the specimens should be placed in the frame in the same orientation during each measurement. A line mark with permanent ink at one end of the corrugated tube may be used to indicate the proper orientation of the specimen during length measurement in the dilatometer. 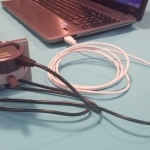 As an option, a special USB input cable can be purchased that connects the displacement gage to a computer for automatic recording of length change to a spreadsheet file. 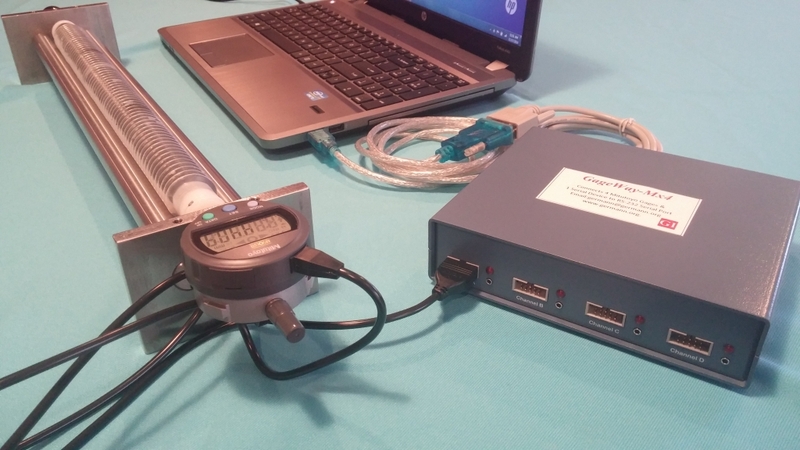 With optional software, gauges from multiple measurement frames can be read automatically. 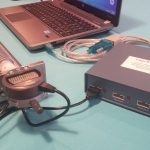 The cables are connected to the computer with a commercial USB hub. 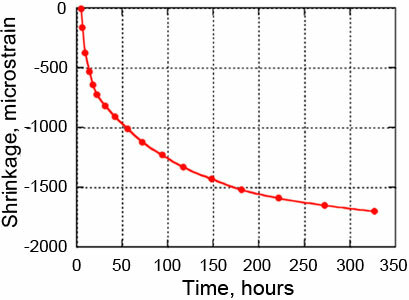 Testing Example The following graph is an example of autogenous strain measured over 2 weeks on a cement paste (w/cm = 0.25) with 10 % silica fume cured at 30°C. Time is measured from the addition of water. The strain has been defined as 0 at the time of final setting of the paste (from Mejlhede Jensen and Freiesleben Hansen, 1995).